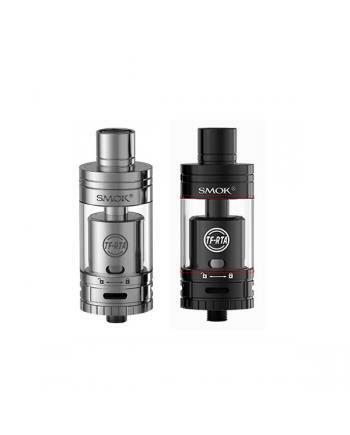 The Smok TF-RTA is smoktech newest rebuildable tank atomizer, made of stainless steel and .. Features: Smok TF-RTA g4 deck only work on smok vape tank TF-RTA only, this is authentic quad coi.. Features: smok micro RCA is newest rebuildable single Clapton coil, this is the four-post buildin.. Features: Smok micro stc2 coil, resistance is 0.25ohm, this new core is a patented stainless stee.. 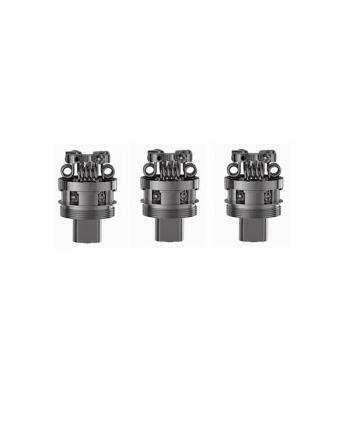 Features: smok micro r2 RBA is the newest rebuildable dual coil, comes with compact four pos.. Features: smok micro MTL coils are smoktech company newest patented mouth to lung coils, this is .. Features: smok micro CLP2 coil is newest smoktech patented fused Clapton dual core and more ..
Smok R-steam mini is newest smoktech 80watts temperature control box mod, the new smok mods made of ..
smok nano one vape kit includes r-steam mini box mod and nano TFV4 tank, the smok e-cig have&nb..
Smok micro TFV4 is newest smoktech sub ohm tank, the new tank is the mini version of tfv4 ..
smok stick one basic is newest smok e starter kit, the kit made of stainless steel and pyr..
Smok guardian pipe III is newest smoktech TC epipe mod, the brand new smoktech mod made of.. Features: Smok tfv4 mini backup kit includes two short-sized cores and same shorty-sized re..